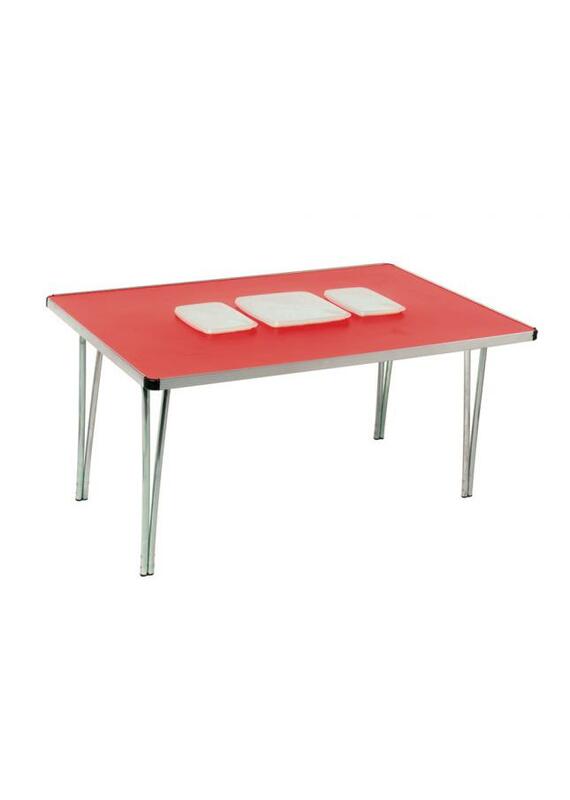 These Contour Folding Tables are supplied with holes cut out in the table top which fit the supplied plastic tubs with lids. 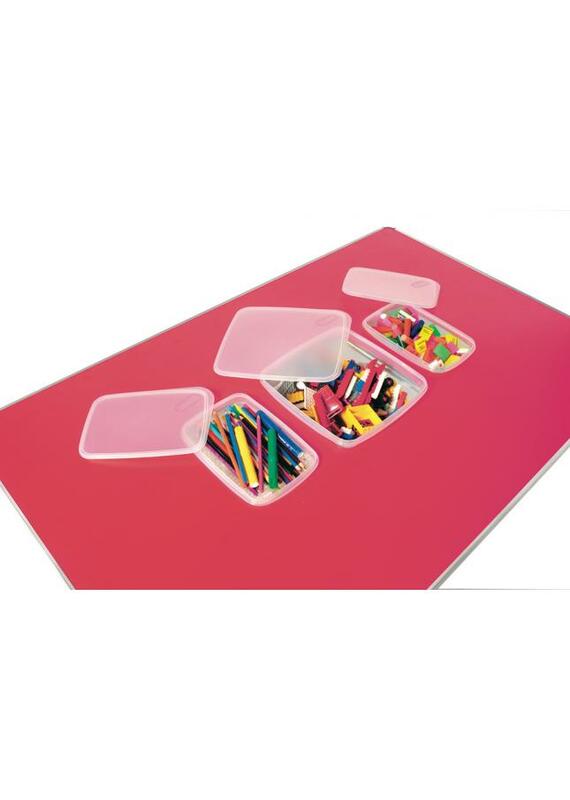 Ideal for storing small play items such as Lego, crayons, pencils, plasticine, model cars, Knex etc. 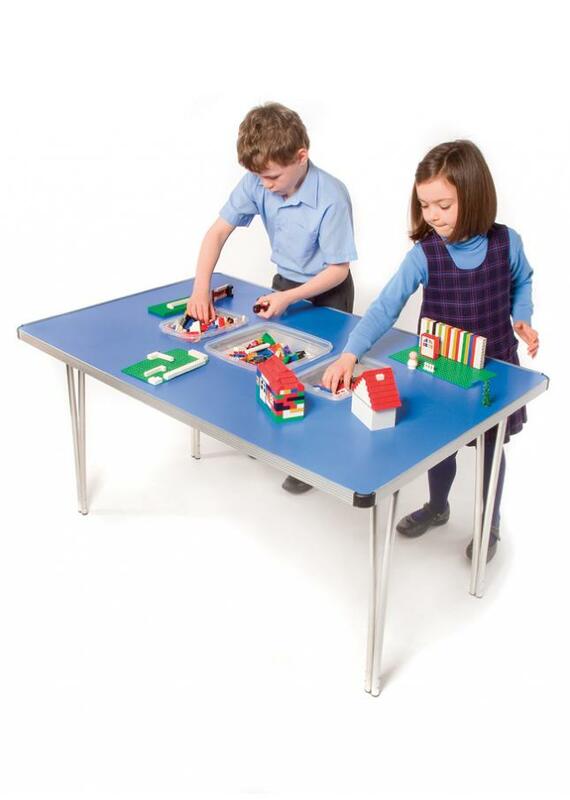 The table is available in a choice of four colours - red, blue, yellow and green - and in six different heights suitable for all age groups. Each clear plastic tub has a lid and is 170mm x 170mm square and 110mm deep. 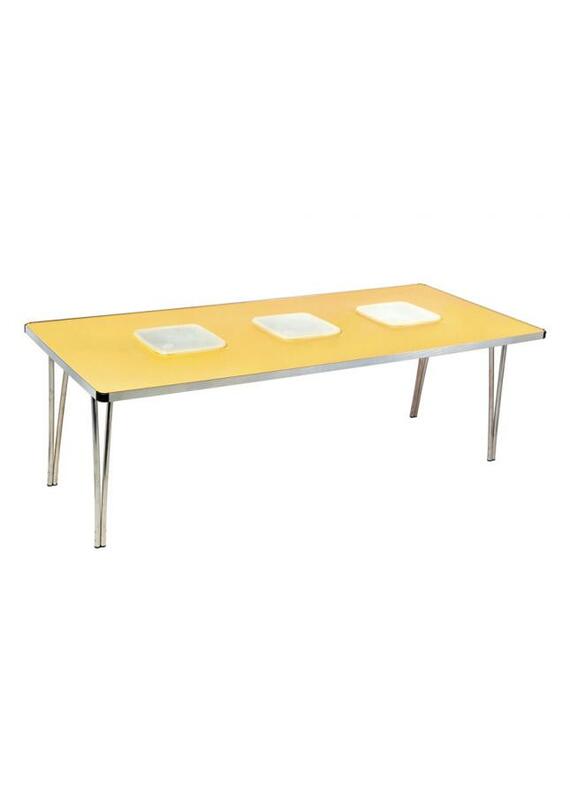 The 1220mm long table comes with 3 tubs and the 1830mm long table comes with 4 tubs. The tubs can easily be removed and the tables folded away for easy storage. Additional plastic tubs are available on request.